Hi there! 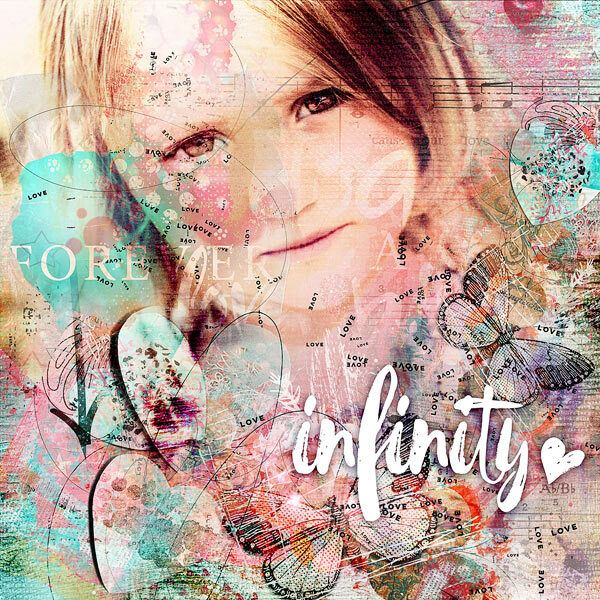 Ona here to share a layout I recently made using NBK Designs’ Love Forever and featuring my eldest granddaughter when she was a bit younger. This truly is a fantastic collection to work with! Love Forever is available at Oscraps as a bundle or individually; or at the NBK Design store.